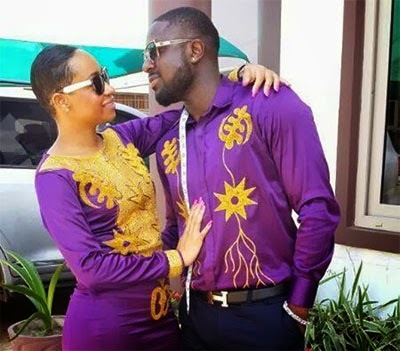 Controversial celebrity lovebirds, Elikem Kumordzie and Pokello Nare, are at it again, months after reports that their relationship had hit the rocks. NEWS-ONE cameras caught the two lovebirds last Friday evening when they stepped out in style, holding each other’s hands and taking selfies in public while doing what lovers do. It was the first time Eli and Pokello were seen in public after reports of their break-up late last year. It would be recalled that late November 2014, reports went viral that they had broken up. Elikem Kumordzie was widely reported to have confirmed on his Twitter account that he had a four year sexual relationship with the wife of celebrated footballer Nii Odartey Lamptey. Elikem, in a response to the growing media reports, gave a rather confusing explanation of how the tweets got on his wall and said he had never confirmed to have had a sexual relationship with the wife of the Ghanaian footballer. Elikem’s response suggested that his lover Pokello was behind the tweets and that she was doing that to suit her interests. Though Elikem wanted the public to believe his account was hacked, he fell short of giving details and seemed to have taken control of the same account, from where he threw jabs at a section of the media who broke the story based on the alarming tweets on his wall. Surprisingly, all the ‘revealing’ tweets on Elikem’s wall were deleted and the ones on Pokello’s wall were also deleted. The two, however, were seen together last Friday when they attended the premiere of 30 Days In Atlanta at the Silverbird Cinemas in Accra, and their body language was an obvious signal to those who care that their love is still waxing strong. Elikem, who represented Ghana at the 2013 edition of Big Brother Africa, surprised Ghanaians, Africans and perhaps the world when he officially proposed marriage to Pokello on live TV during the 15th edition of Vodafone Ghana Music Awards (VGMAs) in Accra. They watched the new movie together and spent a little time to grant a photo shooting opportunity to their fans. Meanwhile Friday’s premiere of 30 Days In Atlanta attracted overwhelming numbers. Among industry personalities at the event were Ramsey Nouah, Lydia Forson, Desmond Elliot, AY, Juliet Ibrahim, Fred Nuamah, Chichi Neblett and others.